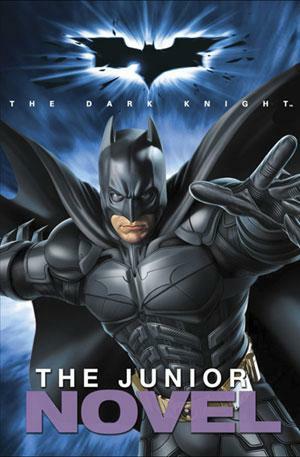 In our second episode we look at the novelisation of Christopher Nolan's dark, gritty and violent Batman film The Dark Knight... for kids! POW! Let's ignore issues of mental illness, the role of the media in perpetuating violence and society's need for scapegoats and focus on what really matters: batarangs and the Joker's lovable nonsense! BAM! Enjoy! Haha, a SHOOSH and a WHAM. With sounds like that, it seems Batman should be cracking down on patrons who talk in libraries! Why is the word novel in giant purple letters?